What are Zero Energy Homes? Building Science experts recommend that automatic ventilation be provided in homes where the tested air leakage rate is below 7 air changes per hour at 50 Pascals (ACH50). It’s likely that the homes you are building with Habitat for Humanity are at or below that threshold. Many builders who build high performance homes are also building homes at or below that threshold. Providing ventilation that is effective and also inexpensive can be quite a trick. Such a system must expel the odors, moisture and pollutants from the living space and replace that same amount of air from the outside. Your question concerns the replacement or make-up air. Automatic ventilation is an essential element of high-performance homes.In leaky houses, this make-up air comes through openings in the building envelope — we call these drafts. By sealing the drafts, we can make the home more comfortable and energy efficient. But how does the make up air enter? Vents built into window frames or installed through walls are often used. They are inexpensive, but they are little better than the leaks they replace. A better approach is to direct the make up air to specific locations in a building to complement locations where air has been expelled. Let’s call these locations supply points and exhaust points. You could use one fan to exhaust air and another fan to supply air. This is a “balanced system” and it has the advantage of delivering outside air to specific locations. Generally, you would want to exhaust air from bathrooms, laundry rooms and other humid locations. Supply air can be delivered to bedrooms. The combination of exhaust and supply flows balances the air pressure and mixes outside air throughout the home. Balanced flow can be accomplished by a heat recovery ventilator or energy recovery ventilator. (For convenience, let’s call them both HRVs.) Inside an HRV cabinet there are two fans, one to exhaust stale air and another to supply outside air. With an HRV you get one package that serves both purposes. (Plus heat recovery, but let’s put that aside for now.) One HRV can provide whole house ventilation that meets the ASHRAE 62.2 requirement. Most equipment can operate at several speeds. In addition to whole house ventilation, an HRV can also provide spot ventilation for bathrooms. A simple 30-minute timer in each bathroom can boost the fan speed to high when more ventilation is needed. HRVs are not cheap. Equipment and materials alone can cost $1500 – $2000. But then high-quality bath fans can cost $200-300 when installed in new construction by a licensed electrician. If the HRV replaces two bath fans, that can offset some of the cost. While installing HRVs requires a certain level of knowledge and skill, I think Habitat volunteers could do a good job with proper training. Nevertheless, it’s probably difficult for most Habitat organizations to justify the cost of HRVs. Here are two alternate ideas. First, you can install a balanced ventilation system without the heat recovery function. It’s cheaper and easier to install. Two in-line fans attached to a branched duct system can provide excellent ventilation for about the same price as a two, high-quality bath fans, and without the aggravation of passive vents in walls or window frames. Two manufacturers (Broan and Fantech) make a single unit that contains two fans for a balanced system. Second, you could install a Panasonic WhisperComfort Spot ERV for about $350 each. A single unit installed in a central location would provide general ventilation for the whole house, while bath fans would cover spot ventilation. Another option would be to install one WhisperComfort unit in each bathroom, replacing the bath fans. 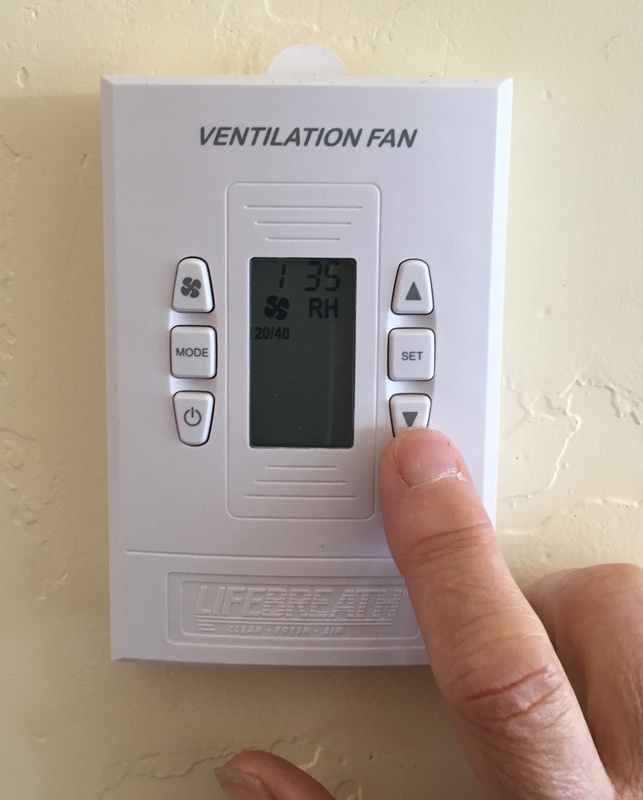 Both these solutions offer balanced ventilation to maintain good indoor air quality, but would be far less expensive than a HRV. Everybody Wins with Zero Energy Homes! Deadly Indoor Air Pollution: Are Zero Energy Buildings the Answer? Keep your finger on the Pulse of what is happening in the Net Zero and Green Building Scene.